Millions of Americans struggle to access critical government services. 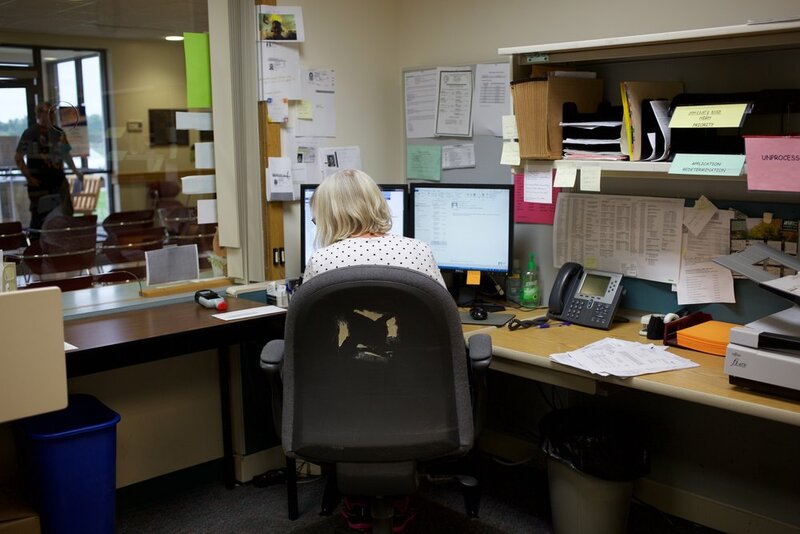 For residents, navigating complex bureaucracies feels overwhelming and de-humanizing. For government agencies, these services are highly inefficient to operate and often fail to deliver desired outcomes. Civilla has been on a mission to unlock access to government services - starting with the public benefit system which impacts 25% of Americans each year. Over the past two and a half years, the Civilla team has been working with the State of Michigan to redesign the experience of applying for public benefits. By prioritizing the needs of residents and caseworkers the team has developed an alternative that drastically reduces the State's operational burden while improving experiences and outcomes for millions of residents. Dr. Latina Denson - a Michigan resident who engaged the public benefit system for the first time after having a stroke that left her in a coma. After 10 years of recovery, she has joined Re:form to help transform the experience of accessing benefits in Michigan. Photo by Marisol Dorantes. Aqueelah Abdullah - a MDHHS caseworker whose background in social work inspired her to pursue a career in civil service. Aqueelah is one of many caseworkers who have guided Re:form since its inception, shaping a solution that is rooted in the needs of field staff. Photo by Marisol Dorantes. The Michigan Department of Health and Human Services (MDHHS) touches nearly every Michigan resident through programs and services which range from health, income and nutrition supports to advanced laboratory capabilities and state vital records. The largest of these programs, and to a great extent those most commonly associated with MDHHS, support over 2.6 million Michigan residents through healthcare, nutrition, income, child care, and emergency relief services. With almost $1 Billion of allocated benefit left unclaimed each year, one of the primary barriers to services is the long and complex application. The entry point to Michigan's public benefit system is an application that is over 40 pages long. With over 1000 questions and more than 18,000 words it is the longest application of its kind in the United States. Not only does this application create a significant barrier to services for residents, but it is also extremely cumbersome for the State to administer and process. Convinced there was a better way, Civilla began meeting with local residents and caseworkers to hear their stories about navigating Michigan’s public benefits system. The team began ethnographic research in September 2015, spending over 4000 hours at kitchen tables, in living rooms, and in MDHHS offices to listen to those who were closest to the issue. The stories that emerged were harrowing and inspirational, and revealed that the DHS-1171 was a significant hurdle to individuals receiving the state’s most critical services. Through months of field work, the Civilla team developed a nuanced understanding of the experiences of both residents and caseworkers. The team lifted up these stories in an immersive exhibit that walked State leadership through the full journey of applying for benefits. In parallel, Civilla established relationships with the USDS, Code for America, the Urban Institute, CBPP, and state government agencies to lift up best practices from the US and abroad. Driven by these insights, Civilla partnered with MDHHS to redesign the benefits application to make it as short, simple, and relevant as possible. The application would be designed from the perspective of residents and caseworks, rather than policy requirements and business process only. It would be easy to read, complete, and process, and beautiful to look at. By reimagining this central touchpoint through the eyes of its most common users, the team set out to design a system that worked better for everyone. After two years of intensive design work, policy work, and hundreds of hours of field testing, the final result was a modular application that provided a single point of entry for residents applying for Michigan’s five largest assistance programs: Healthcare, Food, Cash, Child Care, and State Emergency Relief. In parallel, the application delivered an 80% reduction in length while still meeting all administrative rules, State laws, and Federal regulations. In January 2017, MDHHS and Civilla launched a pilot program to test the new application in field offices across the State of Michigan. The purpose of the pilot was to conduct mixed-methods research that would allow the team to gather feedback on the design for the new application and fully measure its benefits for both clients and field staff. The results of the pilot were very positive. Overall, residents embraced the new application, reporting that they could complete the application more quickly, more confidently, and more independently. Nearly 90% of people were able to apply in less than 20 minutes, and 90% felt confident they could correctly fill out the application by themselves. For caseworkers, the new design resulted in more complete and accurate applications - which decreased processing times overall. Caseworkers spent 75% less time correcting errors, and saw a 22% increase in completion rates. In total, processing times improved by 42%. With that additional time, caseworkers reported being able to engage in higher value conversations and activities with their clients. By its conclusion, the pilot had produced a field-driven application that had the potential to greatly reduce the burden on the Michigan public benefit system and improve outcomes for millions of residents. Based on findings from the pilot, State leaders made the decision to roll out the new application statewide starting in January 2018. This brought the project to the next chapter of changework: implementation at scale. MDHHS partnered with Civilla to reimagine how the new application would roll out statewide. This process included conceiving and executing a communication strategy to engage a wide audience of stakeholders inside and outside of the organization, and working with the Office of Workforce Development and Training (OWDT) to roll out an immersive, in-person training for 5000+ State workers across 100+ offices. The team secured Federal approval by the two relevant government agencies: The U.S. Department of Health and Human Service's The Centers for Medicare & Medicaid Services (CMS) and U.S. Department of Agriculture's Food and Nutritional Service (FNS). Leaders from the Office of Child Support (OCS), the Office of Quality Assurance (OQA), the Office of Inspector General (OIG), the Medical Services Administration (MSA), and the Michigan Department of Education (MDE) all leaned in to provide support. On January 22, 2018, the project launched statewide, making the application available to the state’s 2.6 million residents who utilize public assistance each year. It was the culmination of 27 months of integrative work across five major programs. Early evidence suggests that the new application will measurably reduce MDHHS’ operational burden while improving experiences and outcomes for millions of residents. Further, this work will lay the groundwork for structural improvements across MDHHS in policy, technology, and business processes. Looking forward, we believe that the new DHS-1171 application carries a high degree of relevance to counties and states across the nation. As the first human-centered, multi-benefit application of its kind, the DHS-1171 is the only application in all 50 states designed to go beyond policy requirements and business processes to meet the needs of its users: applicants and caseworkers. The team is actively working to enable the transferability of best practices between jurisdictions, particularly since states are each subject to a common set policy requirements for distributing what are primarily federal resources. The team is also pursuing new pathways to accelerate national innovation in the public benefit system. Civilla has spent the last 12 months working with the Integrated Benefits Initiative to explore the role that mobile technology can play in delivering faster, more effective, and less expensive services. With Michigan as the first pilot state, this work is being done in partnership with the Centers for Medicare & Medicaid Services, Code for America, and Nava. Overall, Civilla's work in government is establishing a strong proof point for what it looks like to design institutional services that are human-centered from the inside-out. The insights from this work are relevant in a variety of sectors where bureaucratic backlog is a common experience. Leaders across industries and geographies have begun leaning in to explore how working in a similar Way could help them achieve meaningful and enduring change within the complex institutions that they lead.